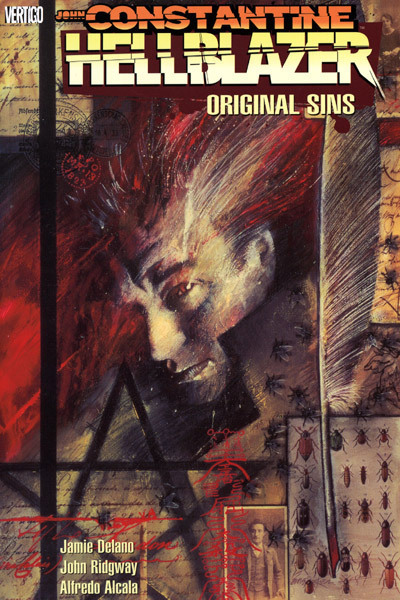 Delano’s work on Hellblazer had some merit, but his purple prose drove me up the wall(you cited an example above). If you haven’t read it, I’d urge you to read the “Family Man” storyline(spring of 1990). And you should definitely read the Alan Moore Swamp Thing; Constantine appeared in issues 37-51(no show in 41-43). If you like British antiquity, you might like the Hellblazer special of 1989. Mm, yes, I think the prose landed a little too far on the side of kitsch for me to take it as seriously as I thiiink Delano wanted me to. Thanks very much for the pointers!! I’m already getting anticipatory chills, reading some snippets about “Family Man”… And – “If you like British antiquity” – oh yes indeedy!